The chinese smartphone manufacturer achieved stellar reach and awareness figures for the launch of its latest smartphone in India when it ran multiple Brand roadblocks on Truecaller Platform. It was towards the end of last year when smartphone company OnePlus dropped a surprise and released an updated version of its flagship phone, the OnePlus 3. They called it the OnePlus 3T, and the phone undoubtedly redefined “true flagship” phones, and put some of the then Android flagship phones to discomfort. It was now time for a new smartphone to take up that role. It is called the OnePlus 5, and this seems to be a genuine evolution over the 3T in many ways. 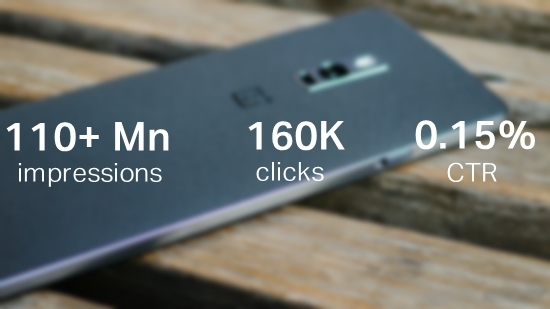 With the launch of its newest smartphone, Oneplus was looking for a way to raise awareness about, and interest in, the new device. The main goal was to increase consumer preference & create a buzz for the Oneplus 5 ahead of its launch in the Indian Market. A couple of years ago OnePlus came out with this interesting phrase: Flagship killer. It wasn't a new phrase but OnePlus was the first brand to apply it to its latest phone. The idea was that the OnePlus phones were so good that despite their relatively lower prices they were real flagship devices. Oneplus wanted to convey a great deal of information in an effective and attractive way, so that excitement could be created about its latest device, which is the Chinese manufacturer's most powerful smartphone to date. 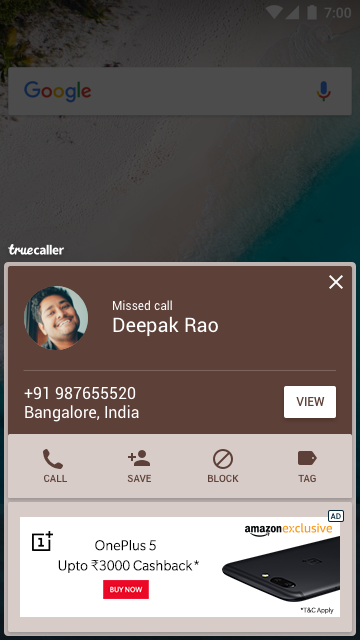 To do that, Truecaller & Publicis crafted a Brand Roadblock solution for OnePlus, that included an After Call Screen high impact roadblock to maximize the reach. They locked in multiple Brand roadblocks on Truecaller, which delivered close to 100M+ impressions on a single day. The ads highlighted the key selling points of the Oneplus 5, like its bionic dual parallel camera and smoother graphics along with a "Buy Now" plug-in. Photos of the device’s elegant, understated design appealed to the aesthetically-minded. Truecaller delivered a whopping 110M+ impressions with over 1.5L+ clicks in a single day. The roadblock clocked a CTR of 0.15% which is higher than the average CTR on the platform.